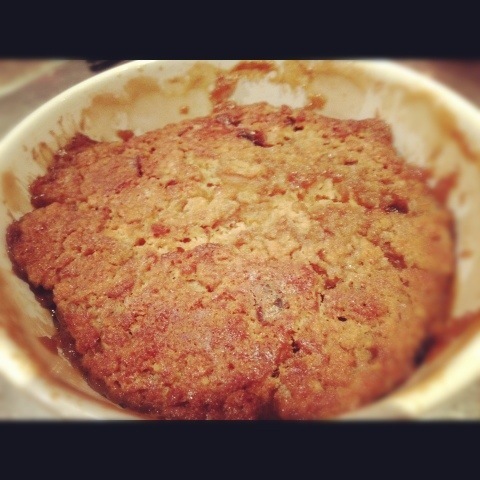 Sticky Toffee Pudding is another English institution. It’s a steamed sponge cake, with dates or prunes, and covered in a toffee sauce. The dish was developed by an English hotelier in the Lake District in the 1960’s. 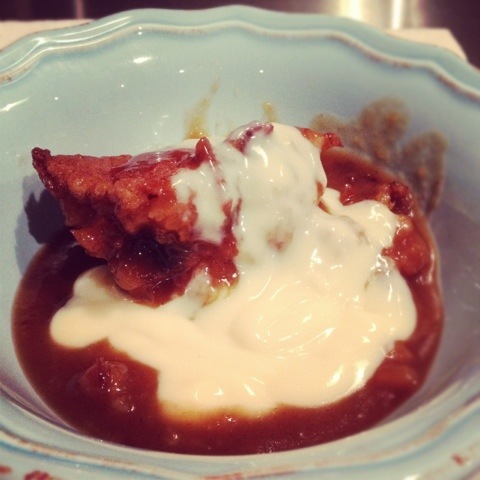 Nigella Lawson has a fantastic easy version of Sticky Toffee Pud. 2. Combine the 100g dark muscovado sugar with the flour in a large bowl. Pour the milk into a measuring jug, beat in the egg, vanilla and melted butter and pour mixture over the sugar and flour, stirring just with a wooden spoon to combine. 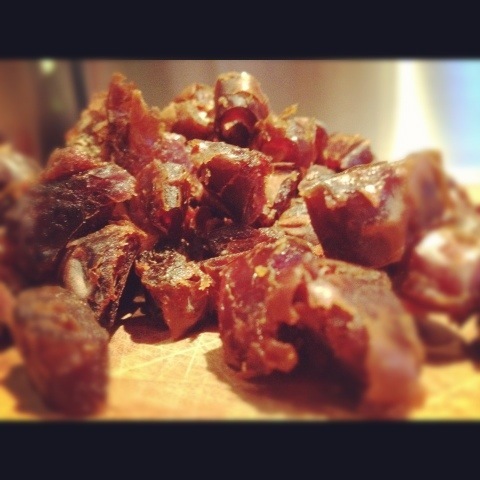 Fold in the dates then scrape into the prepared pudding dish. Don’t worry if it doesn’t look very full, it will by the time it cooks. 3. Sprinkle over the 200g dark muscovado sugar and dot with the butter. Pour over the boiling water and transfer to the oven. Cook for 45 minutes, the top of the pudding should be springy and spongy when it’s cooked. Underneath the butter, dark muscovado sugar and boiling water will have turned into a rich sticky sauce.